. 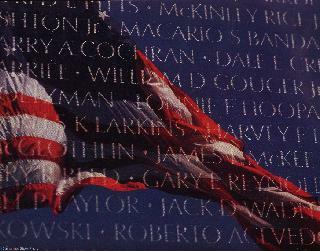 . . State, Town listing of the names on the Vietnam Memorial Wall . . .
AK AL AR AZ CA CO CT CZ DC DE FL GA GU HI IA ID IL IN KS KY LA MA MD ME MI MN MO MS MT NC ND NE NH NJ NM NV NY OH OK OR PA PR RI SC SD SO TN TX UT VA VQ VT WA WI WV WY other Countries..